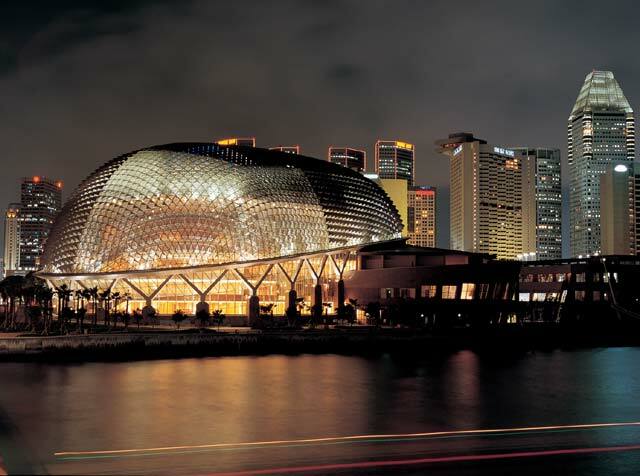 The Esplanade Theatre in Singapore is a magnificent structure It is sort of kidney-bean shaped and looks like a jack fruit from the outside during daytime. However it looks brilliantly bright at night, dominating the colorful Singapore Skyline. I was never too interested in Theatre (Forget about a musical! ), I had just seen spoofs of “Operas” on MTV and fleeting references to Opera Singers in Movies like Dil Chahta Hai! Being a little apprehensive about whether I would even understand what was going on, I went through the Official Phantom website and read and re-read the synopsis of the play. That helped a lot. Now at least I could uderstand who the characters were and what they were saying and where the plot was heading. Although, the vocals and the musical pieces were fairly clear (Thanks to the acoustics at the Esplanade and the immaculate crew of Webber’s Really Useful Group). 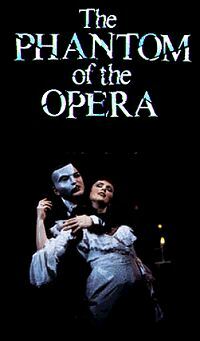 The Phantom of the Opera is based on a French novel written by Gaston Leroux. According to some critics, Webber’s version varies a lot from the novel but I am not going to get into that right now. Anyway, one of the things that made an impression in my mind was the music of Andrew Lloyd Webber. It is RAW Power. The RAW Power of creativity. The power to arouse emotions in you just with the music. There were times in the Theatre when the sets were changing. Within a few seconds, the setting changed from the middle of the river under the moonlight to Christine (the leading lady)’s dressing room. It seemed like a crisply-edited movie and what made this “duration-between-different-scenes” even shorter was the music that would play in the background almost throughout the performance. Some of the songs had a very like-able tune and then there were some that would typically grow on you. But every now and again, Webber would enthrall me with sheer power. Pardon me for repeatedly using that word, but I don’t have a better one! This track is called “Overture.” It plays every time Phantom enters and they want to portray that there’s something “evil” that’s going to happen. There was an interval after the first 50 minutes. As I strolled out into the lobby of the Theatre, there were shows selling wine and Phantom Merchandise. I didn’t have a lady with me who I could to offer wine to, so I decided to browse the merchandise section instead. The crowd was a mix of young and old, but I could make out that almost all of them had a certain level of excitement on their faces. Was it an anticipation of what to expect in the second half, I thought? Where the story would be headed? Or perhaps, like me, just a feeling of “being there, doing that” at an Andrew Lloyd Webber Musical! All in all, it was a great experience. There were a couple of awkward moments, when the more “theatre-educated” among the audience were in splits and I felt a little awkward not having “got” the humour, so I just managed a smile ‘coz anyway “this” was funny — the fact that I was feeling odd about not getting the comedy! Ha! The climax of the show however was the ending. At the end of the story, the casting took place. All the performers, starting form those playing the least significant roles to the ones playing the most significant ones came out from the sides, walked down to the centre and bowed in front of the audience. The women curtsied. The applause of the audience started mildly in the beginning and started to grow as the more important characters came by. The sound reached a rumble by the time Raoul walked in and now the two remaining performers were the most important ones: Christine, the primadonna (The Opera’s leading lady) and The Phantom (who, even if you know anything about the play, needs NO introduction!). The crowd clapped loudly accompanied by a bit of cheering when Serah Brightman (who played Christine) walked in and curtsied. But it was with the “Phantom’s” entry that the crowd went totally berserk. Everybody was clapping hard and fast. The women were shrieking. The Phantom walked swiftly into the centre of the stage, with his mask on and stood right in the centre waving to the audience for almost two minutes before a majestic bow which made the audience go crazy. That was it. It lasted two magical hours, but it was over. My first Broadway show had come to an end. The vocals were powerful. The compositions were apt. The dance sequences were delicate. My first Musical Experience was more an appreciation of the “Art” of a Musical rather than the Musical itself, but I must admit, I thoroughly enjoyed every moment! Catch the synopsis of the show here. hey the stuff is good. do u have more of the music? “past the point of no return” was one of the more intense pieces in the original. the writing is, dont mind my saying it, very technical but i guess it suits the blogger style of writing in vogue these days. however if this blog is a dedicated space to the exercise of literary mastery, delving a bit deeper into ur personal experience cld give it some more flavour. otherwise great structure and a sort of beginners guide technique. i must congratulate u 4 bein lucky enuf 2 hav watched wat u just described. da experience has been nicely portrayed. keep goin! Thanks for the inputs, Zog.. I purchased the original DVD from SIngapore while I was there… It has all the music as well… This one that Ive put up.. is from the PhantomOfTheOpera.com website.. it has been referenced from there… to avoid any copyright issues..! “Point of no Return” is a terrific track.. if you use any of the torrents, you would find all the music of The Phantom online…! Loved the post. It really must have been a great experience to watch this live. I eagerly wait for it on TV! And the way u have not tried to brag about the fact that ive-been-there-done-that n i-know-it-all is gr8! Interesting to see someone attempting to understand it rather than criticise it. Good goin man! i want to see one toooo!! Oh yes.. You must make an effort to! 🙂 .. It will be well worth it! Next Next post: It’s raining MEN… Hallelujah!